Lots of brands now offer Sportswear, including Gamegear, Spiro, Just Cool by All We Do Is, Gildan and Fruit of the Loom. The Just Cool t-shirt, with breathable wicking fabric, is now available in 35 great colours, ideal for promoting a sports event, and is also offered in women's and children's sizes. 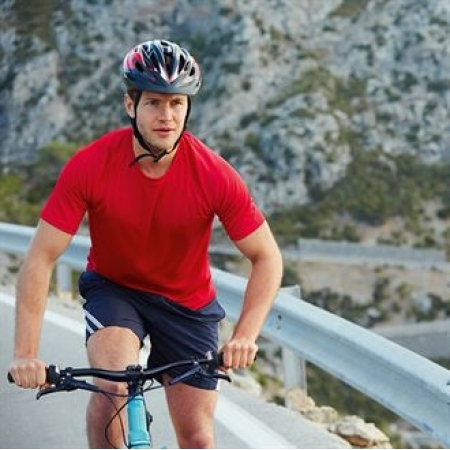 Moisture wicking fabric is ideal for the construction of workout clothes because it performs and keeps you comfortable while you are exercising. The fabric draws perspiration away from the skin and out to the exterior of the fabric. Alternatively customers can supply their own sportswear for teamwear or individual name printing. Email your custom design for sportswear printing via our quotation form for prompt attention, or phone on 01604 714123 for helpful advice.